This is a technical and more strenuous activity for mountaineers who wish to walk beyond the shore radius in order to reach higher grounds and viewing points. Mountaineers walk in rope parties under the leadership of a certified mountain guide mostly across glaciated environments in Antarctica. Depending on the landing site, glacier walks can vary from half day to full day outings. In general we plan to offer 3-4 glacier excursions parallel to all other activities during designated "Basecamp Plancius" voyages. 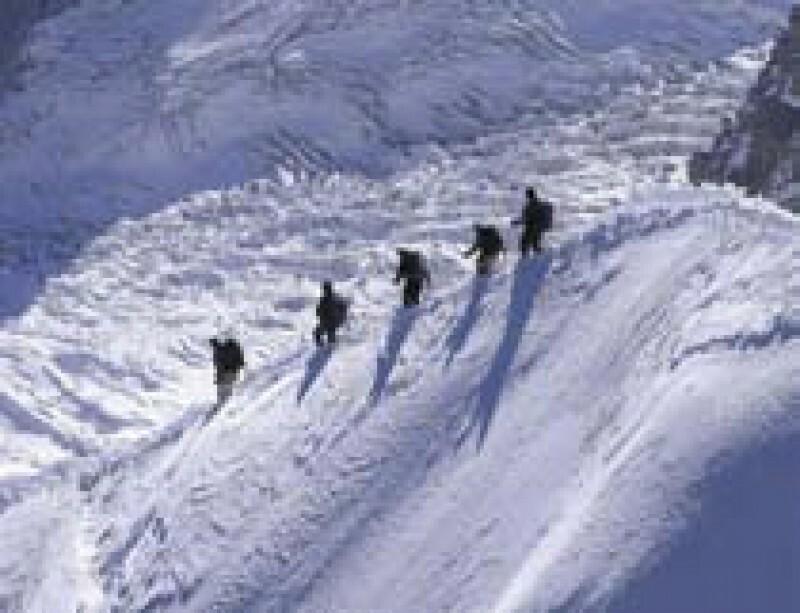 Mountaineering knowledge is preferable, but not required. Physical fitness is essential. The maximum number is limited to 6 mountaineers per rope party. 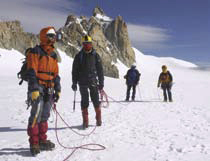 Special glacier equipment will be provided: ropes and carabiners, harnesses, helmets, ice axes and crampons. Participants will bring their personal protective outdoor clothes, mountaineering boots (leather or plastic) suitable for using crampons. 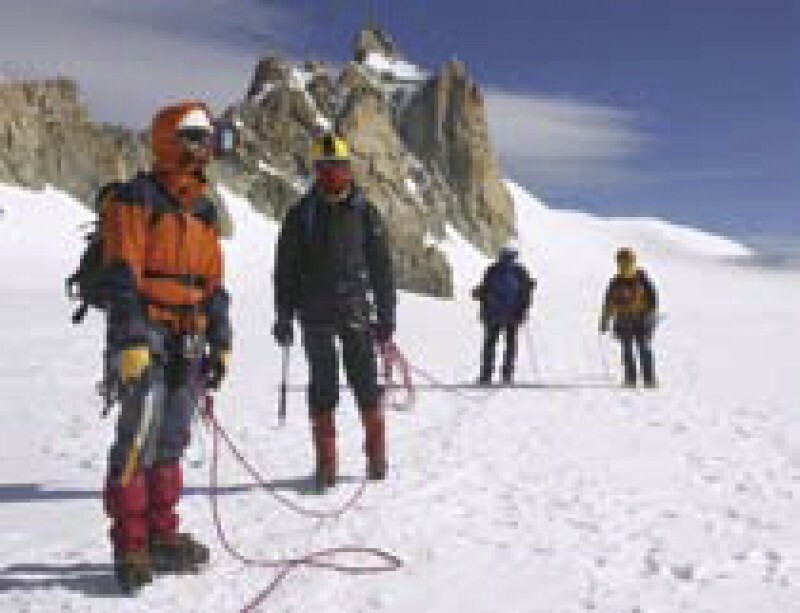 A qualified mountain guide and assistant will supervise and guide the activity for a maximum of 12 mountaineers at a time. 1 mountaineering excursion is free of charge. Every mountaineer will be able to take advantage of at least one outing but it can be more. Space is limited to 36 participants, first come first served.